Ever become obsessed with a facial feature? Mine has been my eyes this past year. I’ve been focused on how to make my under eyes and the surrounding area, appear less sunken, more plump if you will. A lot of eye products that I’ve tried, provide results that are short-lived. So I’ve really been cracking down, on finding a product where I can see progressive results. 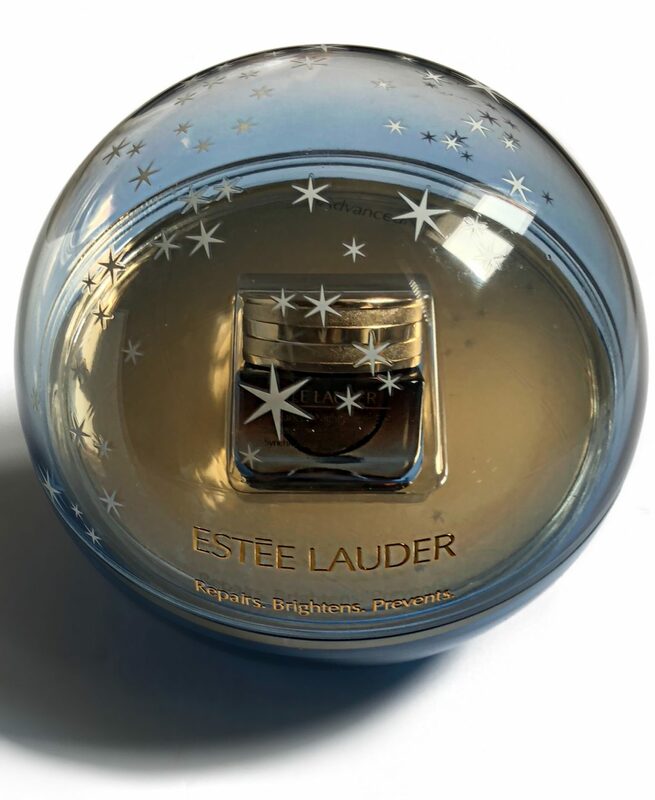 One such product has been the Estee Lauder Advanced Night Repair Eye Cream. I’ve had this for a little over a month now and today I wanted to share my results. 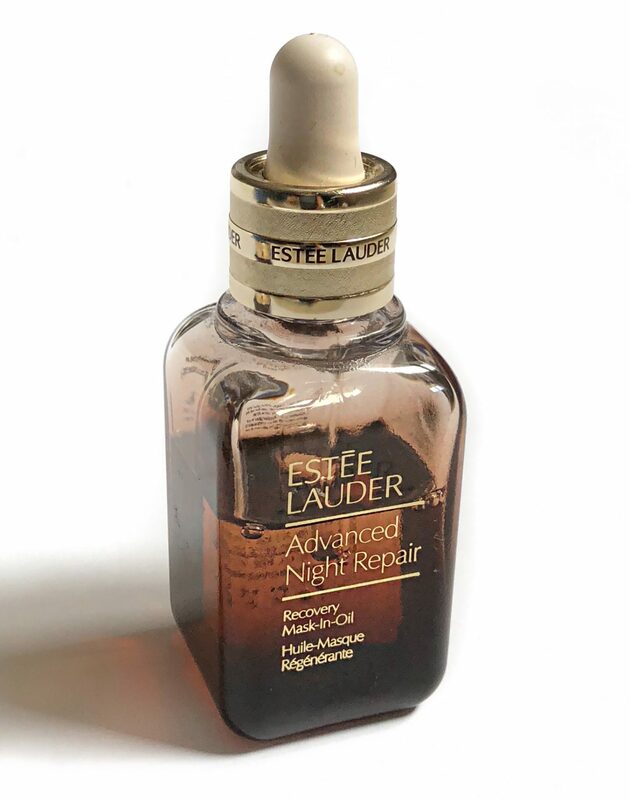 Estee Lauder’s Advanced Night Repair Supercharged Complex Eye Cream is a cross between a gel and serum. 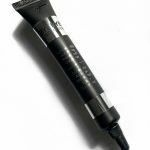 It is intended to visibly reduce puffiness, lines, dark circles and dryness. Repairing the visible impact of lack of sleep, UV, and pollution. My major concerns are primarily under eye puffiness, dark circles and dryness. 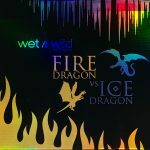 The consistency is that of a lightweight gel but the moisture it provides is that of a cream. Definitely a hybrid! I used it twice a day for 4 weeks (still ongoing) and my results have been as following. There has been a significant decrease in the puffiness of my under eyes. If I had to be uber specific, I’d say about 40% better. The area where I’ve noticed maximal improvement is my under eyes appear much more hydrated. The skin there, which is obviously very delicate, appears plumped. Although I don’t have prominent lines to compare the results to. I have noticed that my faint smile lines have been filled. They’re normally visible under makeup when the skin is parched and not well prepped.I’m eager to see results in terms of brightness but granted that I’m only a month in. I anticipate it’ll be a few months down the line before I notice any improvement. 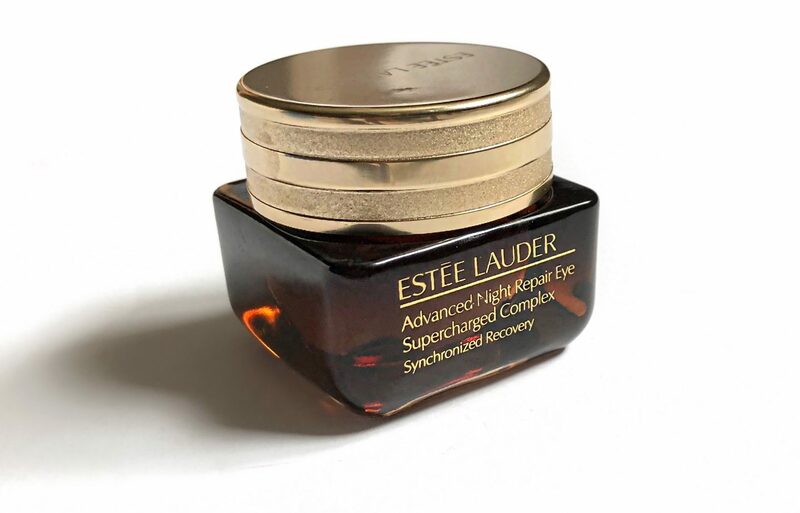 Estee Lauder’s Advanced Night Repair Supercharged Complex Eye Cream retails for $80 CAD. I’ve also used Estee Lauder’s Advanced Night Repair Recovery Mask-in-Oil on and off for over a year now. At first I was still grasping on to the idea, that my nightly serum needed another product to actually lock in its power. 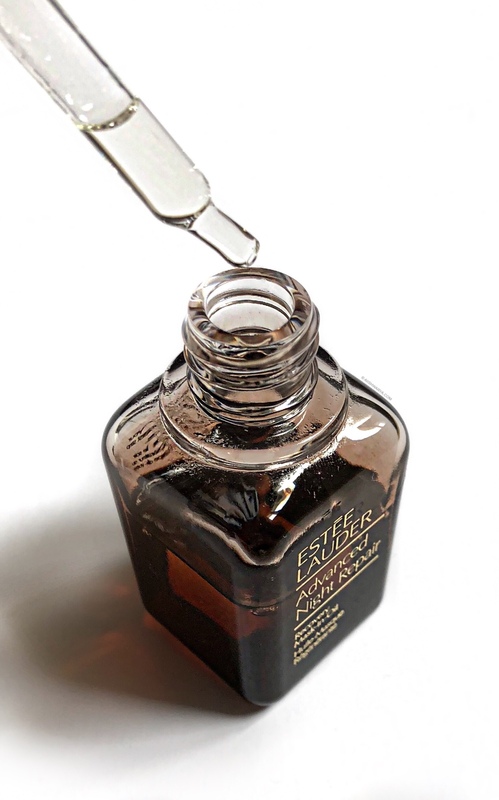 The ANR Mask in Oil is housed in a transparent brown bottle with a dropper applicator. Take note: a little goes a very long way! To apply, simply blend a few drops all over your face or to the specific areas you applied your treatment serum to. Skin feels replenished because of the moisture packed ingredients, such as the oils and plant extracts. Although an oil, it doesn’t have the tacky, residual finish but enough so that you know that the ‘Night Repair’ process is underway. 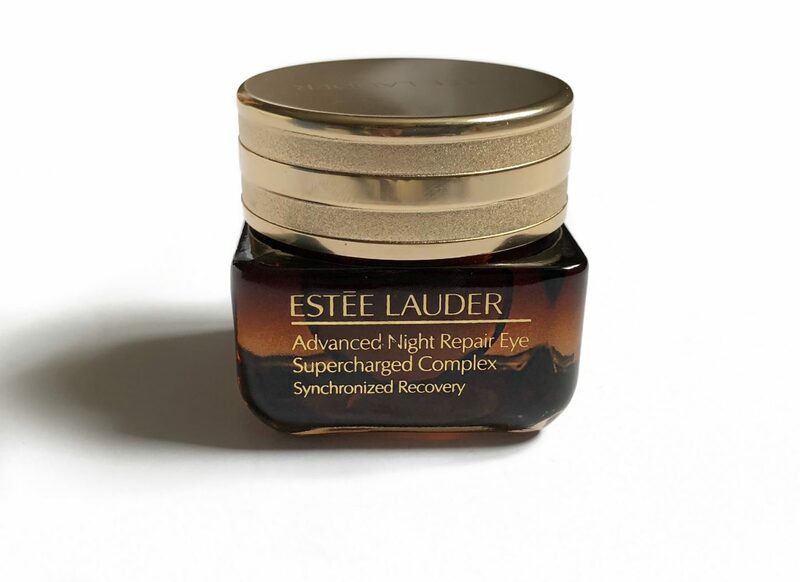 Estee Lauder’s Advanced Night Repair Recovery Mask-in-Oil retails for $102 CAD. 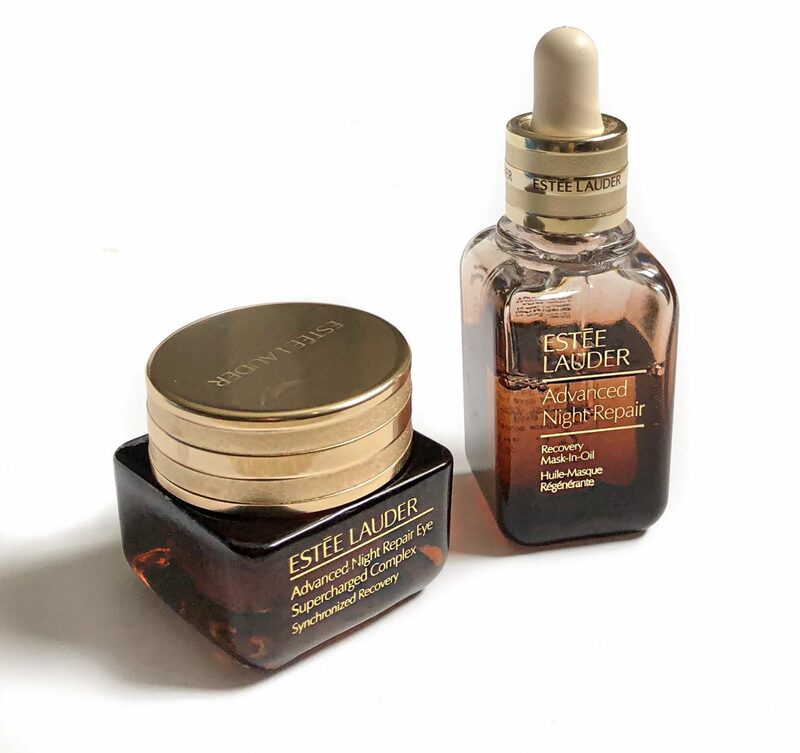 Estee Lauder’s Advanced Night Repair range can be purchased esteelauder.ca, Sephora , Shoppers Drug Mart and Hudsons Bay.